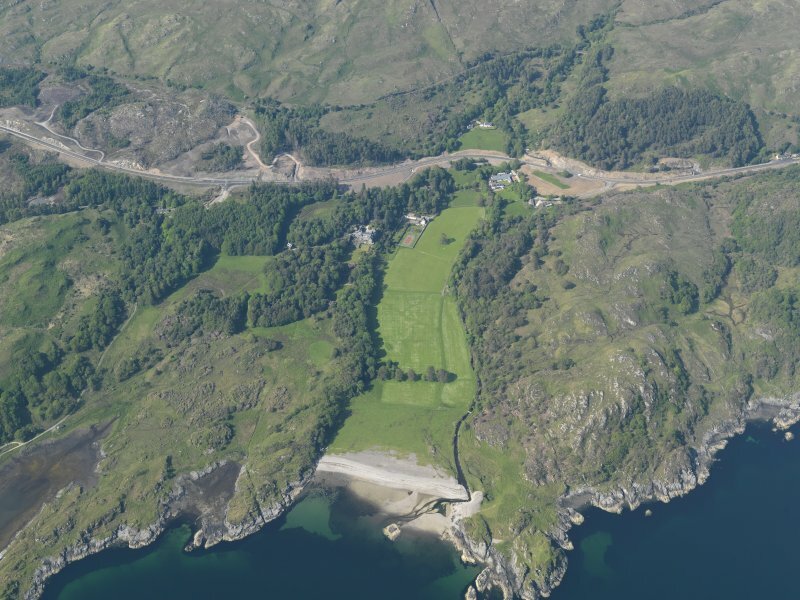 Alternative Name(s) Arisaig House Hotel; Special Training Centre; Military Intelligence Wing Soe. 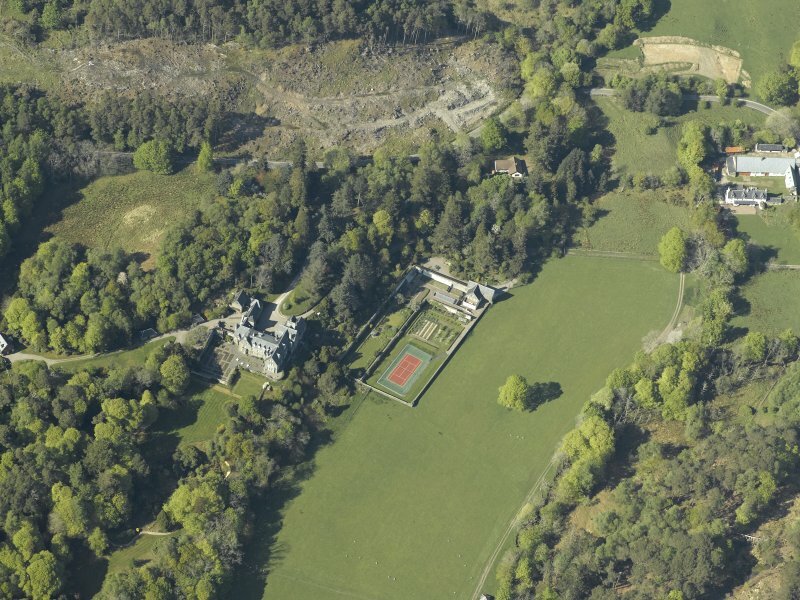 Oblique aerial view centred on the house with the gardener's cottage and walled garden adjacent, taken from the WNW. 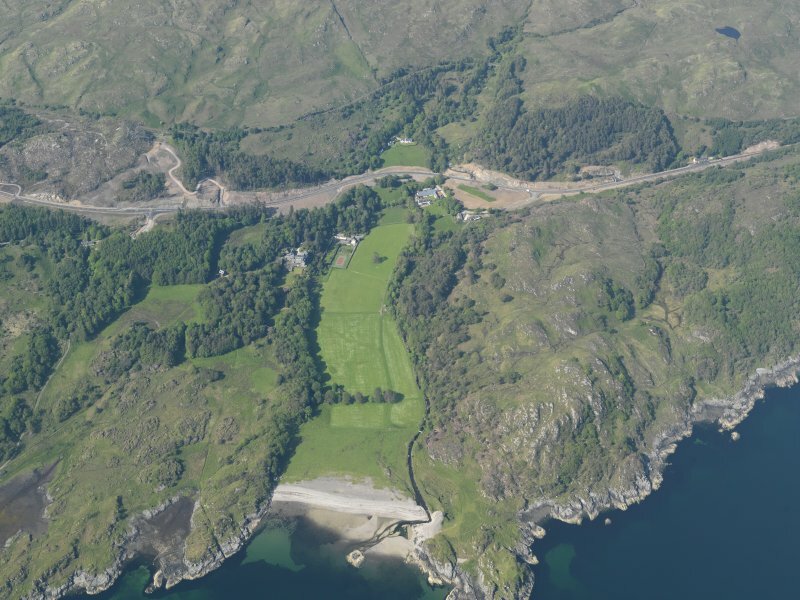 General oblique aerial view of Arisaig House, with the A830 improvement roadworks in the back ground, taken from the SSW. 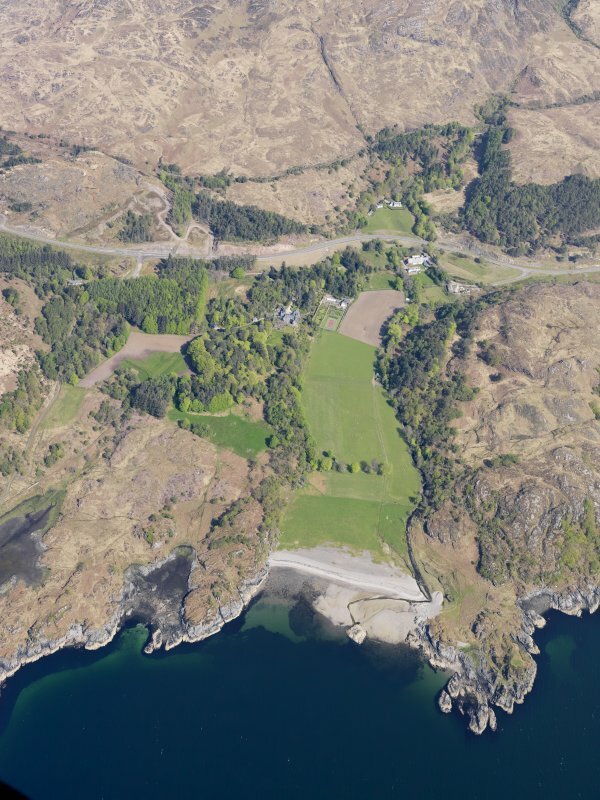 Oblique aerial view centred on the house with the gardener's cottage and walled garden adjacent, taken from the SW.
General oblique aerial view of Arisaig House and Borrodale House with the site of Prince Charlie's Cave in the foreground, taken from the SSW. 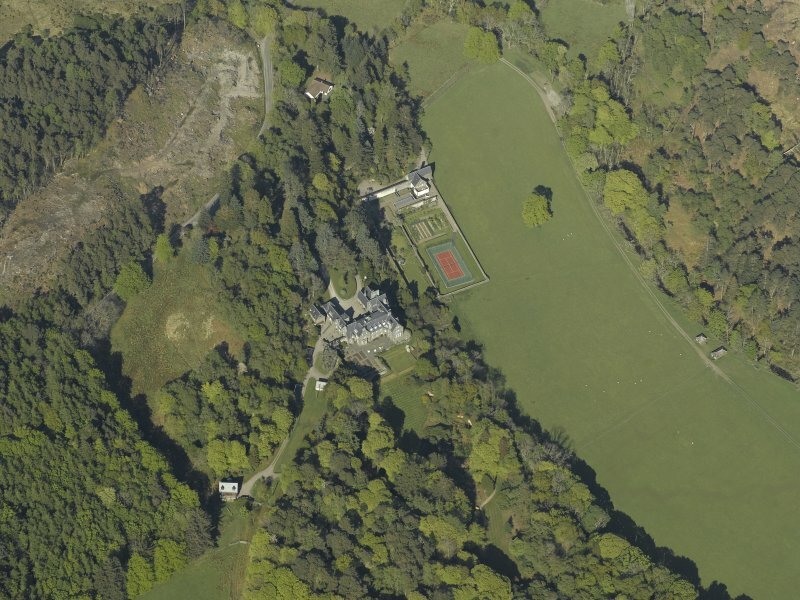 Oblique aerial view centred on the house with the gardener's cottage and walled garden adjacent, taken from the W.
Oblique aerial view centred on the house with the gardener's cottage and walled garden adjacent, taken from the SSE. Arisaig House, Philip Webb, 1863-4; rebuilt on smaller scale by I. B. M. Hamilton & Orphoot, Whiting & Lindsay, 1937 Webb's first country house, built for Francis Dukinfield Palmer Astley, only the bones of which survived a devastating fire in 1935. Webb's references to the English parsonage style, beefed up in response to the rugged setting, remain only vaguely discernible in the somewhat indigestible rebuild. Closest to the original is the east-facing entrance court, where the gothic windows, clocktower and kitchen wing with massive battery of flues are largely Webb's work. 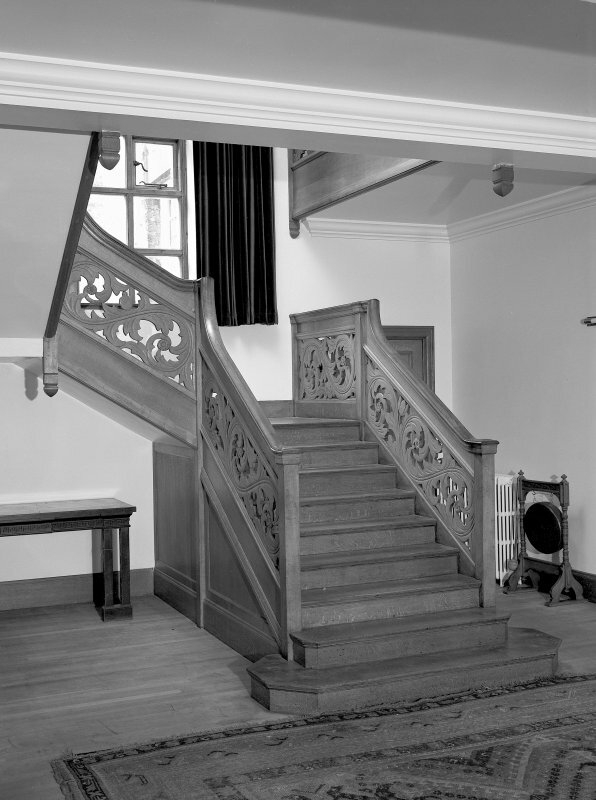 The oak-finished interior of 1937 and later includes a cherrywoodpanelled dining room with Art Deco lighting and a staircase carved with leaves and gamebirds. 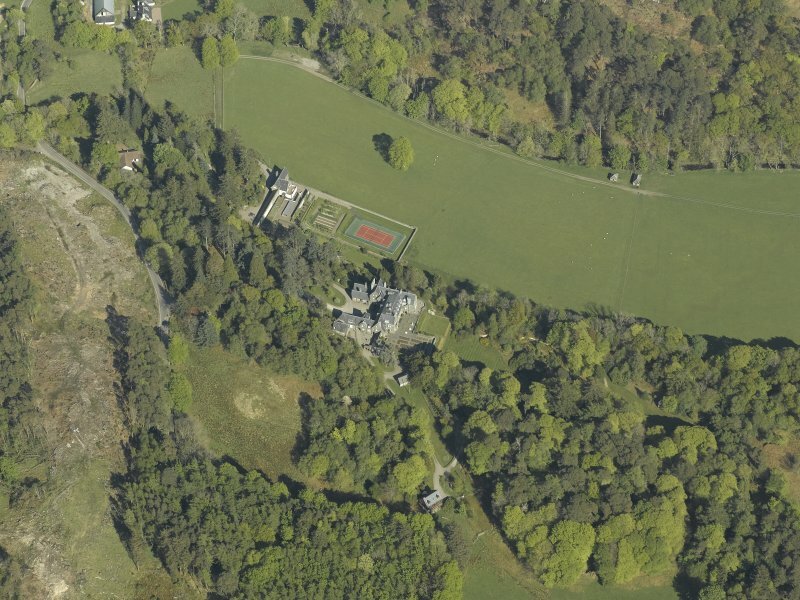 Built of local granite rubble with dark whinstone dressings, the house rises from a wooded slope, steeply terraced on the south with a two-tiered walled kitchen garden. 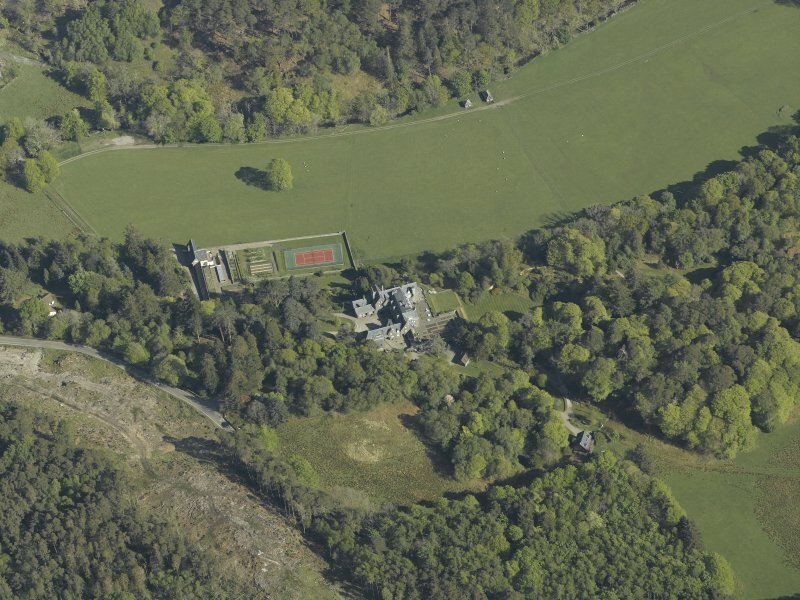 Arisaig House is situated on the W side of the Borrowdale Burn about 336m SW of Borrowdale House (NM68NE 3.00). 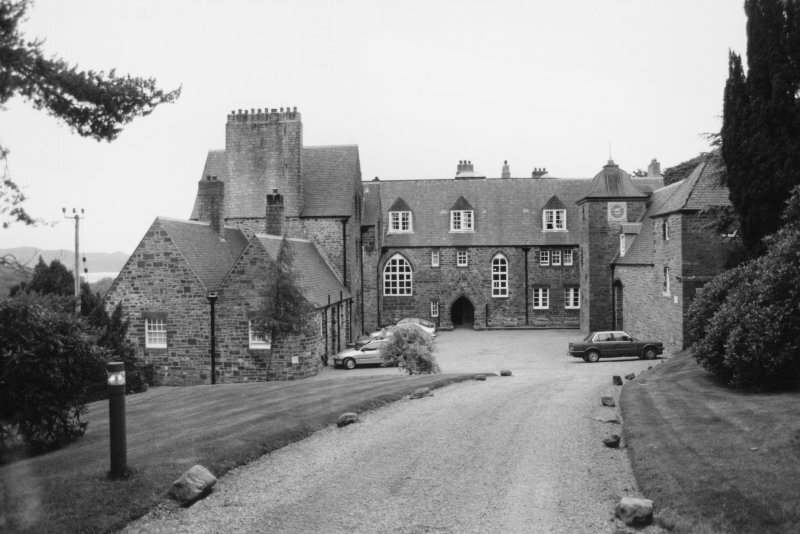 The House was requisitioned by the military during World War II as part of the Special Traing Centres in the NW of Scotland. 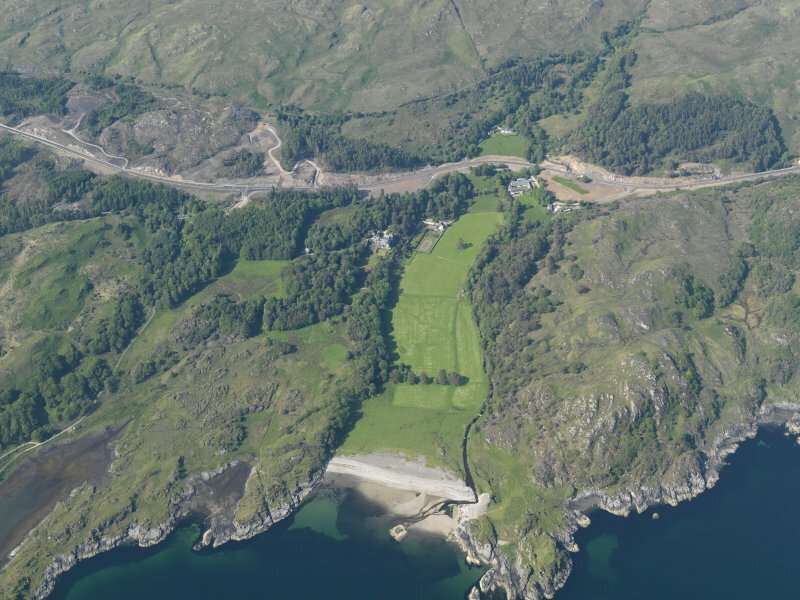 The house was altered in 1940 to accommodate the Military Intelligence Wing of the Special Traing Centre at Lochailort (NM78SE 6 and NM78SE 15 ). The House is visible on vertical air photographs taken in 1946 (CPE/UK/Scot/177, fraames 1373-1375, flown 7 October 1946), but there is no evidence for huts or military activity. In addition, RAF WW II vertical air photographs of the House and surrounding area (241H, frames A1-A3; B1-B3, flown 14 March 1941), also show no evidence of miltary activity. Architect: Philip Webb, 1864 - original house, partly burnt, 1835. Plans in possession of Mr A McLellan, Arisaig House. Ian Hamilton, 1937 - rebuilt, (under supervision of B.N.H. Orphoot).